If you are not absolutely overjoyed with the class by the end of the 2nd day, just turn in all your course materials and receive a 100% refund. Launch your career as a hypnosis professional with the NGH Approved Banyan Hypnosis & Hypnotherapy Certification Super Course. "Super Course" means this course was designed to produce confident and competent hypnosis professionals by containing the NGH "core curriculum" plus the proven universal approach to hypnotherapy called 5-PATH® and the special 7th Path Self-Hypnosis® system. 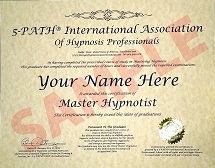 This is a high quality, professional accelerated hypnosis certification producing some of the best and most qualified hypnosis professionals in the field. You will be credited with over 100 hours of training in only 10 days. 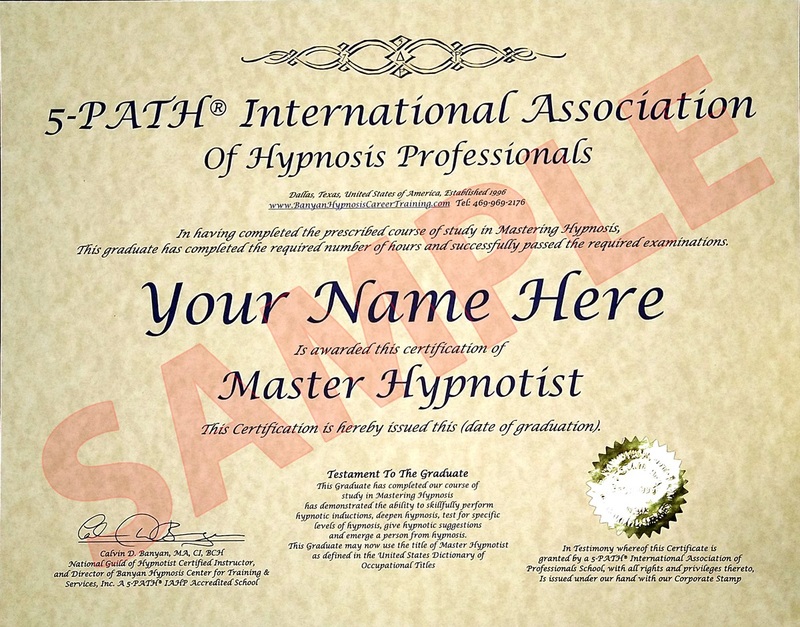 Upon graduation you will have earned Master Hypnotist Certification, 5-PATH® Hypnotherapy Certification, 7th Path Self-Hypnosis® Teacher Certification, and National Guild of Hypnotists Professional Certification. In addition you get unsurpassed support after graduation. Please click the play button on the video below and allow me to tell you more..
when you enroll now and pay in full on or before May 15, 2019.
when you enroll now and pay in full on or before June 7, 2019. Taking the course at our center in Dallas, TX! Some of our students prefer to take this class at our center. 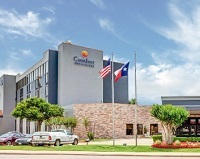 For individuals who want to use this option, we will help you set up hotel accommodations at a special rate, help you find places to eat and local attractions. 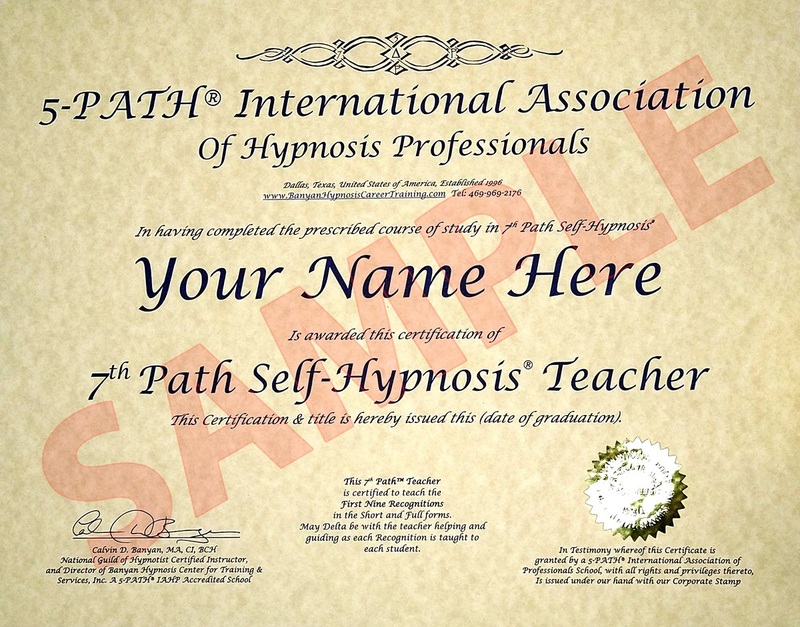 Accredited Training The Banyan Hypnosis Center is a 5-PATH® IAHP Professionally Accredited School and Cal Banyan is an Accredited Professional Hypnosis/Hypnotherapy Instructor (A+CPHI). So you can be assured that your instructor is an experienced and highly qualified teacher who has the highest skill levels and ability to teach 5-PATH® IAHP courses. Award Winning Trainer Highest quality hypnotherapy training available developed by Cal Banyan and award winning trainer, educator, hypnosis authority and recognized leader in the profession. Newest and Most Effective Systems and Techniques Emphasis on modern and effective hypnosis & hypnotherapy techniques such as instant and rapid inductions, depth testing, age regression hypnosis, insight work and more. Accelerated Training Professional accelerated hypnotherapy training, over 100 hours of training in just 10 days. Professional Level Learning Materials Hypnosis and hypnotherapy certification course Level I & II Manuals in two 3-ring binders. Get Your Practice Listed Online Immediately We help market your hypnosis practice with a Web page on our Hypnotherapist Directory and client referrals. Additional marketing services available. 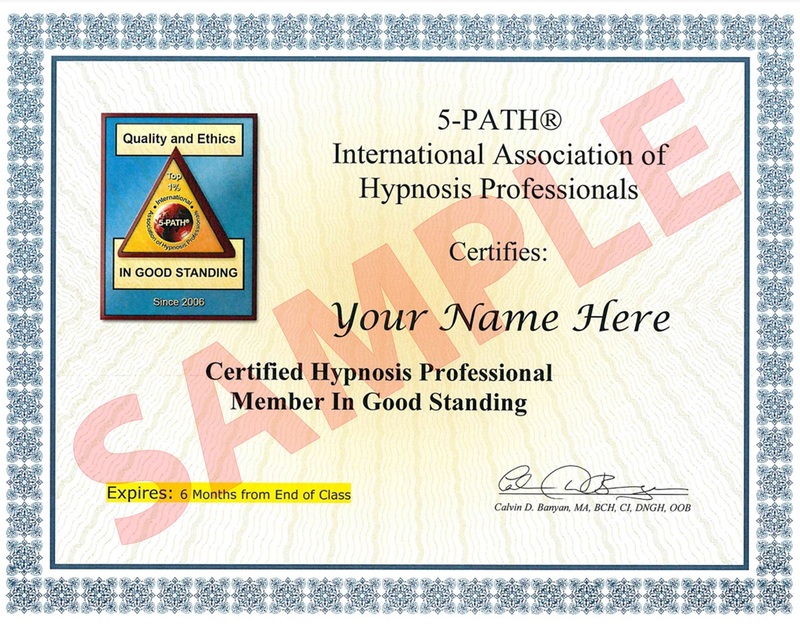 5-PATH® International Association of Hypnosis & Hypnotherapy Professionals membership included for one year. Satisfaction guarantee: if you are not absolutely happy with our hypnosis and hypnotherapy program by the 2nd day, just turn in your course materials and receive a 100% refund. 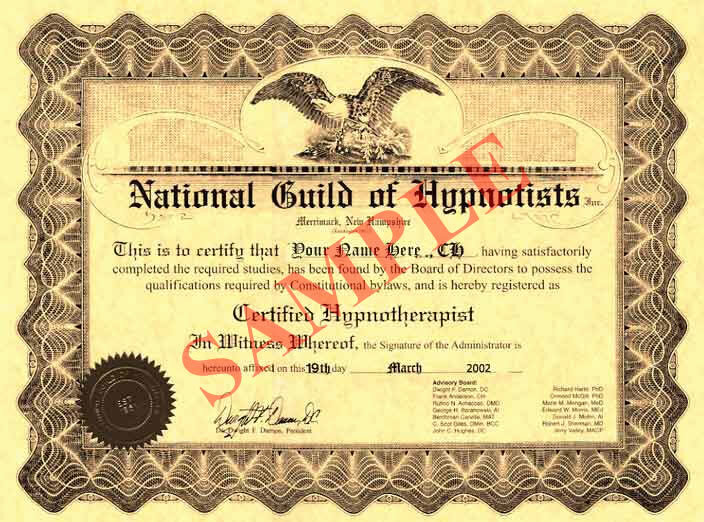 When you graduate from the National Guild of Hypnotists (NGH) Approved Banyan Hypnosis and Hypnotherapy Training Super Course, you become part of the National Guild of Hypnotists (NGH). 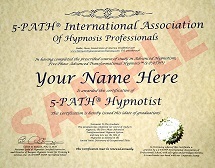 You also receive the following hypnosis credentials: Master Hypnotist, 7th Path Self-Hypnosis® Teacher, 5-PATH® Hypnotherapist Certificate and 1 year membership in the 5-PATH® Internation Association Hypnosis Professionals. Students from across the USA and from more than 40 other countries have come to the Banyan Hypnosis Center for their professional hypnosis and hypnotherapy training and certification because they want to be the best in the profession. Lot&apos;s of time scheduled to practice the hypnosis and hypnotherapy techniques you learn in class. This Class Is NOT just A How-To-Hypnotize Class. 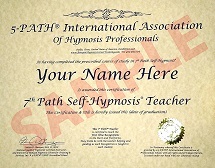 This is a How-To-Do-Successful-Hypnotherapy-and-become-a-"1%'er" Certification Course! 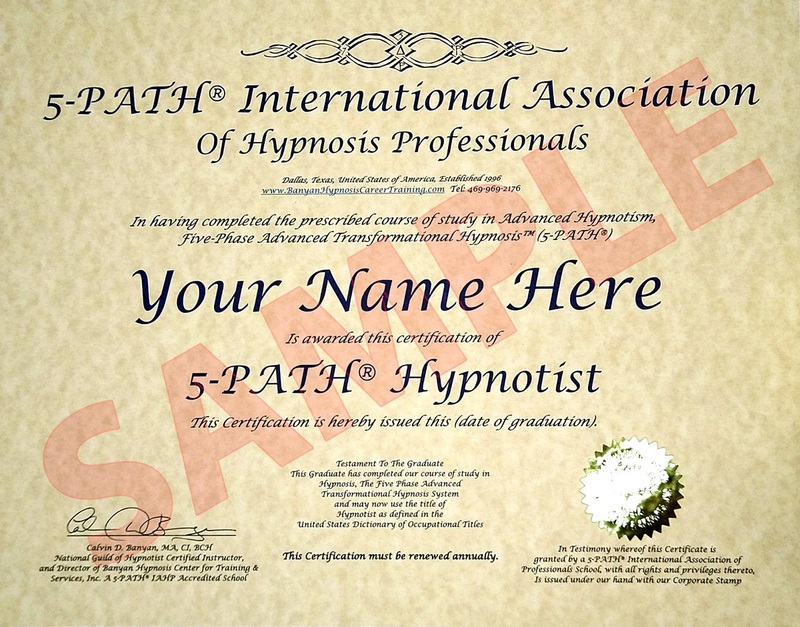 The Future Belongs to 5-PATH® and 7th Path Self-Hypnosis®! 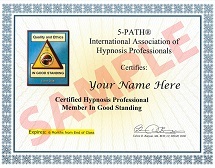 Get certified in these elite forms of hypnotherapy and self-hypnosis and join the best hypnosis providers in the world. Have you ever been to a class, seminar or lecture that is supposed to be for intermediate or advanced practitioners, and then spend most of your time listening to beginning level information? Not this class. Yes, we will provide adequate time for learning the basics, but then, once we know that everyone "up to speed," the course moves into the advanced material. However, even our "basic" material may be new most hypnotists and hypnotherapists trained elsewhere before taking this certification course! 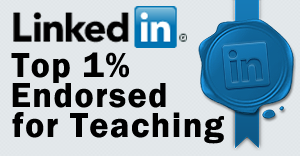 This is why our course is considered an elite certification course. You are going to eat, drink and sleep hypnosis for 10 days, and learn from Cal Banyan himself. There are lots of support for you after you graduate by email, online support group and telephone. Calvin D. Banyan holds a MA in Psychology and is an NGH Board Certified Hypnotherapist, and an NGH Instructor who has been published in the NGH Hypno-Gram and has a regular column in the NGH Journal of Hypnotism. He has conducted thousands of individual hypnotherapy sessions, and continues to train, supervise and consult other hypnotherapists. He owns the Banyan Hypnosis Center for Training & Services, Inc. where the system of 5-PATH® Hypnotherapy is used to help clients with a broad range of issues. He is co-author with Gerald F. Kein, of the book, Hypnosis and Hypnotherapy: Basic to Advanced Techniques for The Professional. He is also the author of, The Secret Language of Feelings. He is the recipient of the following NGH awards: Certified Hypnotherapist of the Year (2002 & 2003), Educator of the Year (2003), Charles Tebbetts Award (2005), NGH President's Award (2008), NGH Hypnotism Media Award of the Year (2010) and the NGH's highest award, the Rexford L. North Award (2012).